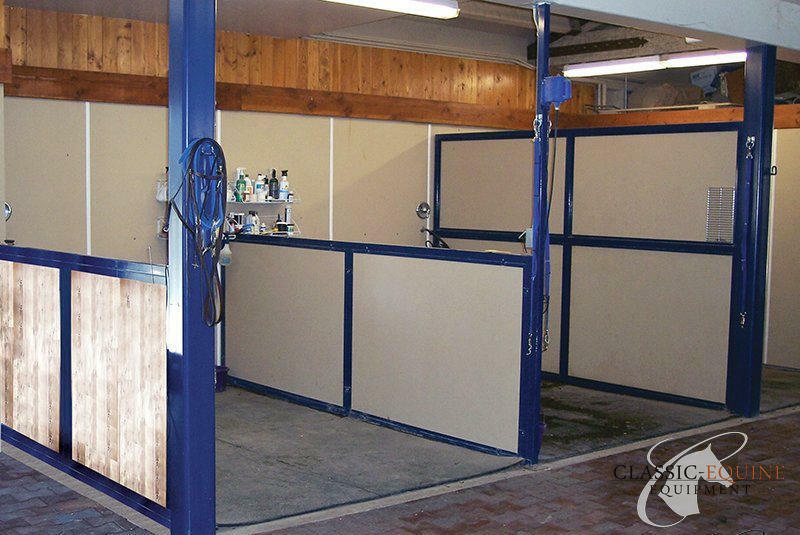 Classic Equine Equipment offers Wash Bay and Grooming Stall systems. From simple tie posts to complete wash bays for multiple horses, we can design a solution for you. 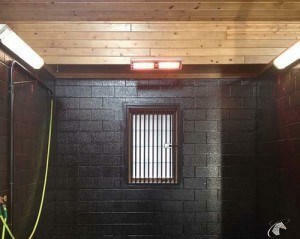 A grooming stall provides a comfortable, safe environment for the horse and the handler. 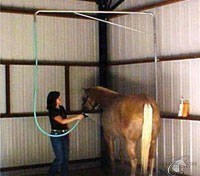 With all the equipment necessary to groom or wash your horse, the process is accomplished quickly and safely. Let us custom design a wash bay to fit your needs. These button style mats make for excellent traction in your wash stall. At ½” thick they will withstand years of use. 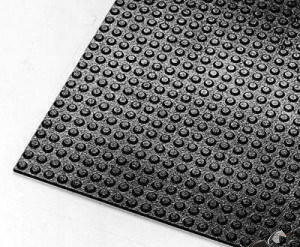 Like our standard stall mats, these interlock to prevent movement. As the mats are completely nonabsorbent, they will not harbor or promote bacterial growth. 12 year warranty against wear and lifetime warranty against rolling, buckling and curling. Wash unit keeps the hose above the animal’s head and off the floor. It is designed with safety and organization in mind. Powder coated tubular steel frame is easy to install and will mount inside or out on a wall or post where a water supply is present. The hose holder keeps the hose above the horse’s head, making it easy to move quietly and quickly. The rotating wash wand installs overhead in a wash stall. It rotates a full 360 degrees. Made from all stainless steel parts and fittings. Boom arm measures 18″. Comes fully assembled. The electric infrared heaters represent the evolution of engineered short wave heating technology. Alpha Series Heaters produce short wave length infrared that convert 92% of consumed energy to instant, controllable, directional heat. This heating technology is not affected by wind or draft as it warms people, objects and things and not the air. The modular design of the Solaira Alpha Series allows specifying engineers to adjust and direct specified heating loads based on area requirements. The Alpha Series modern, sleek design has clean un-intrusive lines and an aluminum housing. Alpha Series Heaters are engineered to meet P24 standard for water spray so they can be installed in both wet (outdoor) or dry conditions (indoor or outdoor). 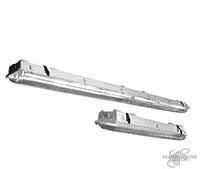 Add efficiency, safety and security while saving money on your energy bills with our T5 fluorescent lighting. The fixtures are completely waterproof and pressure washable up to 2000 psi for easy cleaning. The energy saving bulbs have 20,000 hours of lamp life and are housed in a quality, rust resistant fixture with a 5 year warranty. The instant start and restart means you’re never left in the dark. Available in 4’ (2 tubes) or 8’ (4 tubes) lengths. A grooming stall provides a comfortable, safe environment for the horse and the handler. With all the equipment necessary to groom the horse, the process is accomplished quickly and safely. No matter what your needs, Classic Equine Equipment can provide everything for the task.